Algirdas Klova is a versatile composer and performer. An enthusiast of authentic Lithuanian folk music, playing fiddle and other instruments in his own folk groups, he is equally active in other genres bordering on folk music, such as country and world music. 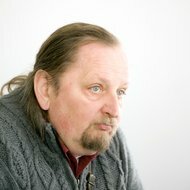 Besides, he is well-known as an author of jazz and pop compositions, as well as academic music; and the special flavour of old Lithuanian folk songs (particularly their unique polyphonic variety sutartinės) is often present in his diverse work. In festivals and concerts he is most often seen performing with the folk group Vydraga, which has been around for more than two decades. Algirdas Klova (b.1958) graduated from the Lithuanian Academy of Music, where he studied composition with Prof. Julius Juzeliūnas. From 1983 to 1991 he worked as a sound engineer at the Lithuanian National Radio. 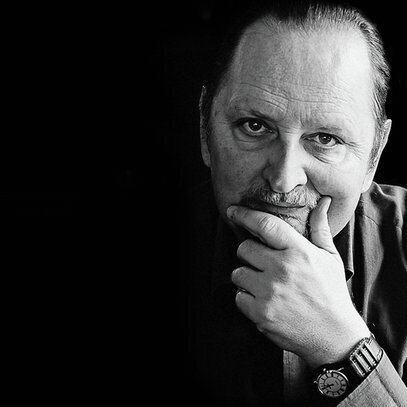 He founded and directed folk ensembles "Kikilis" (1980-85) and "Vydraga" (since 1988). 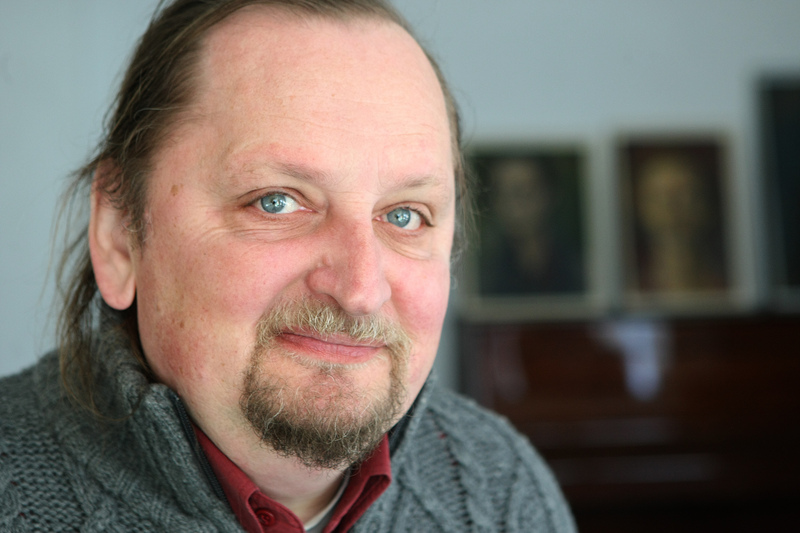 Since 1991 he has been organizing the instrumental folk music festival "Griežynė" held biennially in Vilnius. He has compiled and edited numerous collections of Lithuanian folk music: "Old Lithuanian Instrumental Folk Music", "Swaying Songs", "Lithuanian Folk Polkas, Waltzes and Marches", "A Merry Day Has Dawned for Us", etc. On the record label "Bonifa" he launched the series of recordings entitled "Lithuanian Folk Ensembles". Together with the ensemble "Vydraga", he recorded and released one LP record, four audio cassettes and one CD. 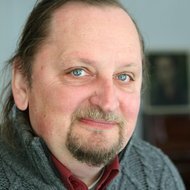 His work as a composer and folklore specialist has always combined with journalism: he has worked as a correspondent for monthly "Muzikos barai" (1990-95) and musical editor at the radio station "Vilniaus varpas" (1991-94). He is the author and the host of the radio programme "Country Saloon", which have been broadcast on the radio station "Laisvoji banga" since 1994. Algirdas Klova is president of the Lithuanian Country Musicians' Association and producer of the "Visaginas Country" festival. From 1994 he organizes congresses of Lithuanian country musicians and "Country Saloon" festival. He has lectured on country music and taught at the Folklore Department of the Vilnius Conservatory and at the Theatre Faculty of the Lithuanian Academy of Music. The music of Algirdas Klova is being regularly performed at different events in Lithuania and abroad. Among recent performances, portrait concerts of his works in Gotland and Stockholm (1998) should be mentioned. Under his artistic leadership, the folk ensemble "Vydraga" has widely toured to international festivals in Argentina, Italy, Germany, Denmark, Hungary, Poland, Latvia, France, Sweden. His works have been awarded a number of top prizes such as the 1st prize of the Lithuanian Folk Culture Center (1987), the 1st prize of the Jonas Švedas Competition (1988), the 2nd prize of the Stasys Šimkus Competition (1988), the 1st prize of the Australian Choir Competition (1990), and the 3rd prize of the Juozas Naujalis Church Music Competition (1994). The composer was also granted first place at the competition organized by the World Lithuanian Song Festival. Algirdas Klova writes different kinds of music. Apart from academic works, he composes lots of incidental music for films and theatre as well as jazz, rock, pop and country compositions. Predominance of melody, improvisatory nature and extensive use of folk elements are the major features that characterize his most varied oeuvre. The works written in 1984-90 witness his turn towards minimalization of compositional means (for example, String Quartet "Hope", "The Reflection on the Lake at Sunrise, Six O'Clock in the Morning" for 3 instruments, "...Why Doesn't It Snow?.." for birbynė quartet). In 1990 he began to collaborate with jazz musicians and to make frequent appearances as a performer in various joint projects with Lithuanian and international jazz, rock and country music performers. 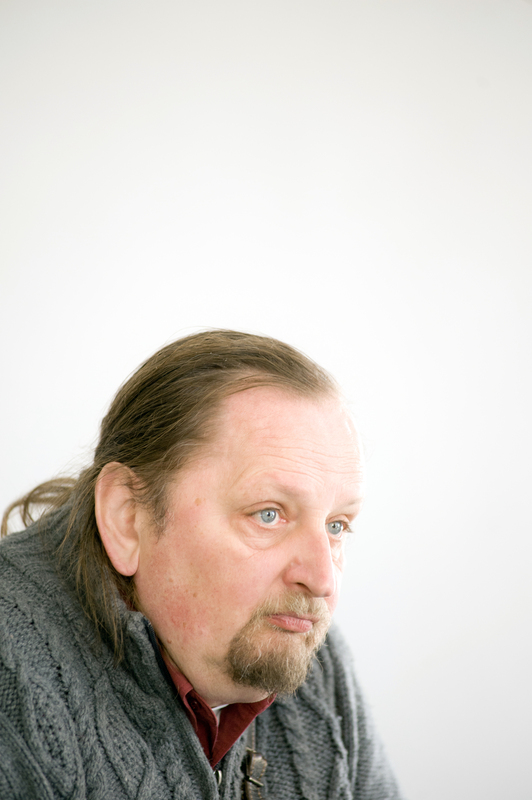 Together with the composers Giedrius Kuprevičius and Mieczysław Litwiński, he forms the group "Žaliakalnio vilkai" ("The Wolves of Žaliakalnis") focusing mainly on free improvisation and world music. He also leads "Country Blues Session Band" - a 2nd prize-winner of the "Country Europe" contest in 1999.